This chapter deals with airborne particle contamination in food processing indoor environments and particularly within heating, ventilation, and air-conditioning (HVAC) systems in food factory buildings. The major types of bioaerosols encountered in the food manufacturing sector as well as the bioaerosol sampling methods are firstly introduced. Secondly, some features of air handling systems such as zoning, cleanrooms, localized air handling systems, and HVAC systems are presented. Besides, the study of particle deposition to duct surfaces from turbulent airflow is reviewed and discussed. 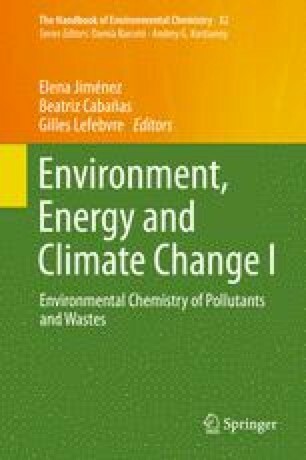 Substantially, an original work combining industrial diagnosis and experiments at factory scale with experiments at laboratory scale is then proposed through the case study of the CleanAirNet project. The CleanAirNet project (Hygienic Design of Ventilation Duct Networks in Food Factories) aimed at producing new knowledge, models, and techniques to help control the safety of the food products through a better control of aerosol particle transport and deposition in the ventilation networks of the food industry. The different work packages of the project are presented relatively to the state-of-the-art particle deposition on duct surfaces. The methodological findings and relevant applications (e.g., a newly patented particle trapping device for air handling systems) for food industries are exposed. The CleanAirNet project was supported by the French National Research Agency (ANR) from 2008 to 2012; the project consortium was conducted by seven institutes and universities, as well as three industries from the food sector. This work was conducted within the framework of the CleanAirNet project, a joint project of research groups from IRSTEA (ACTA-Rennes), GEPEA (Process Engineering Laboratory including ONIRIS and EMN in Nantes), CSTB (Laboratory of Indoor Environment Microbiology-Champs sur Marne), CERTES-Université Paris-Est (Center for Thermal and Environmental Research), ADRIA NORMANDIE (center of technological resources devoted to food industry), and LAVAL MAYENNE TECHNOPOLE (territorial agency for economic development and innovation promotion). Three industries from the food sector were taking part in the consortium. We are thankful for Dr. Amine Metani for supplying the scanning electron photographs of Aspergillus niger.